WASHINGTON (Reuters) - Lockheed Martin Corp's (LMT.N) F-35 fighter jet is slated to begin two weeks of developmental testing on board the USS Nimitz aircraft carrier, marking another key milestone for the Pentagon's biggest weapons program. Weather permitting, the first of two F-35 C-model jets slated for the testing is due to arrive on the carrier on Monday. 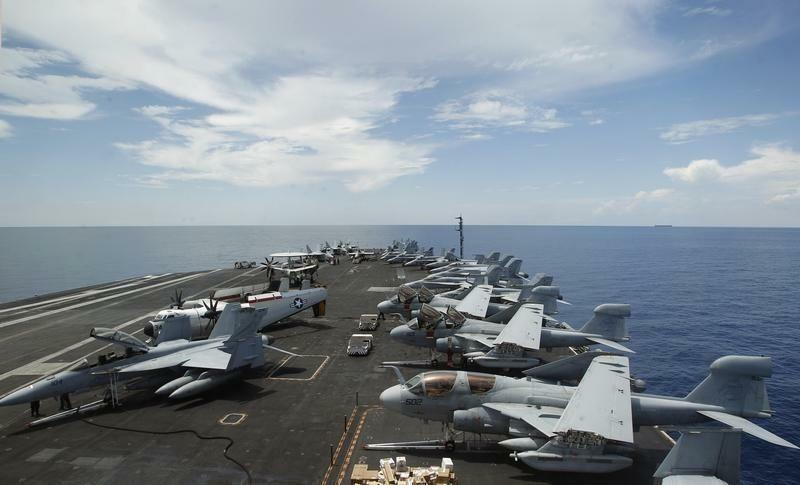 That will mark the first time the new warplane will land on a carrier using a tailhook that had be redesigned after initial problems engaging the cable. The tailhook system has been tested extensively on land. Navy Commander Jeannie Groeneveld said weather conditions and testing requirements needed to be met before the first hook of the advanced U.S. warplane aboard the Nimitz off the coast of San Diego. Lockheed spokesman Mike Rein said his company would support the Navy during the testing. "It will be another milestone for the program and for the Navy's plans to declare an initial operational capability," he said. Lockheed is developing three models of the plane for the U.S. military, eight partner countries that helped fund its development and three other governments as part of a $399 billion program. The Navy will be the last of the U.S. military services to declare its F-35 jets ready for combat use, following the Marine Corps, whose target date is July 2015, and the Air Force, which is aiming for August 2016. The timing of the testing is critical given the budget process now underway in the Pentagon, and any further problems with the tailhook system, or the catapult that launches the jets off the ships, could undermine the Navy's tepid support for the new jet at a time when its shipbuilding budget is under strain.